Thank you so much for the beautiful flower arrangements you created for our wedding. The bouquets, boutonnieres, centerpieces, and cake topper were absolutely stunning! We were so grateful to have you as our florist! You all were truly a pleasure to work with. Always beautiful!!! Long lasting fragrant & amazing colors!!! Friendly and helpful experienced service!!! Absolutely the BEST!!! 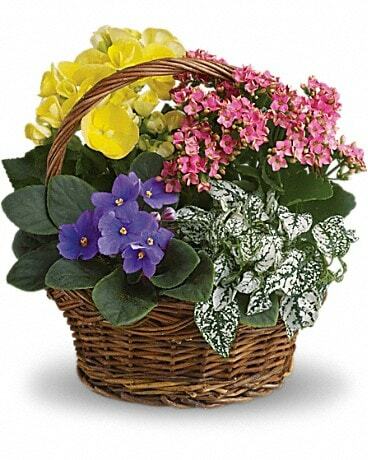 You gave excellent service and the flowers were always vibrant, if there were any problems you stood by your product. Not much more can be asked of any company! The flowers were as pictured and delivered on time. They always do a nice job! I have never been disappointed with any of my orders. .I don't live in the state of Ct. and I must rely on the people I speak with at the store as well as family and friends that receive the arrangements. They send me pictures of their gift, because our family is so excited and love the arrangements. They also think we spend way too much money, but cost is no where near what some florist charge and what is sent as a gift. Thank you for being so kind and patient with me when I call to place and order, it's always great to speak with such friendly people. Thank you again for being a dependable florist. The arrangements received mostly were as described and ordered unlike what had happened wth other florists. Had the unpleasant experience of having a succession of funerals the past few months and living out of state Orchid Florist website let me send a thoughtful, expert arrangement, letting the grieving family know that I was there, even when I couldn't be physically. Always pleased with both the service and the products produced by The Orchid Florist!!! I live in FL, but will use Orchid Florist if/when using CT to send flowers to. Great selection. Staff is knowledgeable, friendly and helpful. Product is top quality. Consistently great!!! On behalf of the UCONN Rowing Team I wanted to thank you for the beautiful flowers at our senior banquet. It really made the event more special and meaningful for the seniors and coaches. The Husky Dog was amazing and was placed in the Compliance Office for all to enjoy! Thanks again! "Thank you, you guys rock. Stand by for many more orders from me." "Thank you for all your kindness and for making the beautiful flower arrangement for my Dad's funeral. It was greatly appreciated and I knew the flowers would be perfect. Thank you for personally taking the time to go through the choices with me." I just wanted to say thank you very much for the flowers! They were beautiful and the centerpieces were gorgeous! I really appreciate the wonderful job yall did, thank you and I will definitely recommend you to all my friends! I forgot to order flowers for my aunt, and I called two hours before her wake. The staff member put me on hold, ran into the parking lot and stopped the delivery truck to wait for my order. I am truly grateful as these flowers were from my mom, too. She would have been very upset if the flowers for her sister were not there. Thank you very much for your Outstanding Customer Service!! Never before has this campus experienced such a warm and generous start to a semester. If you only knew how much it meant to all of us, you would be especially happy. Your sort of kindness comes once in a lifetime and the UCONN Waterbury Campus Community thanks you from the bottom of our hearts. I was watching the Early Show on CBS the other morning. They did a segment on ordering flowers. They showed 3 or 4 different orders they received after ordering from the web. None of the orders looked anywhere near what they had ordered. 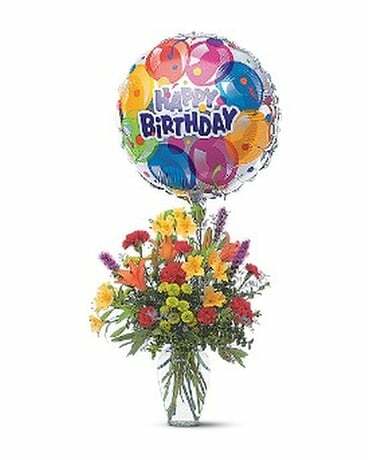 I’ve ordered flowers from you for my Aunt in Waterbury, CT and when she called to thank me, I would ask what they looked like. Each time they looked like the picture/flowers I had ordered. Thank You for delivering the product that I ordered. Thank You all for your outstanding professionalism. The floral arrangements that you crafted for my aunt’s ( Jennie M. L_____) homecoming service was absolutely beautiful. The love and care that each one took was evident in the presentation. Each time I do business with Orchid, I am reminded why I have been a faithful customer for over twenty years. My sincere thanks to you for always going above and beyond. 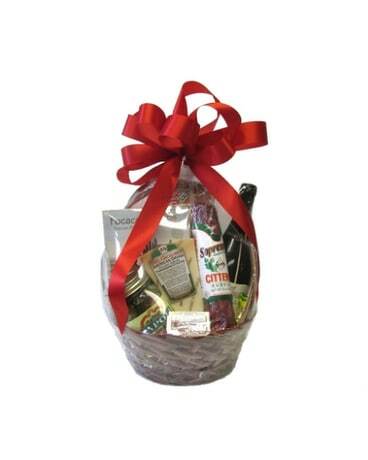 All of the flower arrangements from Orchid were SO beautiful and your personal basket was much appreciated. Aunt Jean must have been so pleased to see them all. Thank you so much for the Beautiful Flower Arrangement you made for our brother, Ray’s Memorial Service. We are so glad we chose Orchid Florist! Thank you very much for sharing your time and talent with us as we honored the life of my mother, Trudy B. The flower arrangements, and in particular, the roses were magnificent! It was a wonderful way to celebrate our love for her. We also especially appreciate your personal attention on your day off. From the moment I arrived to place the order, I was confident that I could trust you to design arrangements of roses in a manner that would honor my mother’s wishes for the most beautiful flowers at her funeral mass. The arrangements were incredibly gorgeous – more beautiful than I imagined. It was so comforting to us to see that the flowers that she loved, as presented by you, sent a clear message to everyone of how much we loved her. Thank you for helping to make the mass so memorable. I just wanted to drop you a note to let you know that the cross you made up for the wake and funeral of Angelina Masch this past Tuesday was absolutely beautiful. You did a fantastic job and there were many comments on how beautiful that cross came out. I will certainly continue to purchase any flowers from you and also highly recommend you. Thank you again also for your assistance in getting this done at the last minute. P.S. Your website is Great!!!!!!! Thank you for creating such a beautiful arrangement for Mrs. Mary Waldron on 3/11/09. Special Kudos for the young lady who was so helpful and efficient, not to mention sweet. You have never disappointed me. You just keep getting better. I wish you a very prosperous and happy holiday season. Teresa and I want to thank you so very much for creating such a beautiful casket spray for our beloved mother, Barbara Smith. Your choices of flowers, colors and placement were amazing and we received many compliments and inquires on who did such beautiful work. Because of your compassion and caring manner, you made a difficult day a little easier for us. We know mom would have loved this final tribute to her life. We appreciate this more than you know. I thank you from the bottom of my heart for donating five centerpieces to Waterbury Hospital’s Seventh Annual Rebirth of Grandeur, which was held November 4, 2006 at the Connecticut Grand Hotel. They were so beautiful. They made the room come to life. Anyone who says flowers don’t make the event have no idea what they are talking about. First Impressions are so important, and flowers create the Wow factor. As a floral shop owner for 23 years, I know you are asked on many occasions to give, but this donation of centerpieces played an integral role in the continued success of the event as a major fundraiser for Waterbury Hospital, an institution that has touched all our lives in some way. The Family Birthing Center, who was the recipient of this year’s funds raised, also extends their thanks. They worked very hard to insure the success of this event, and were awestruck when they walked into the ballroom and saw your generosity. Your kindness was most appreciated. I would like to express my thanks for the way my recent “constructive criticism” was handled. The beautiful carnations were greatly appreciated and unexpected. It’s this sort of consideration that has kept us happy customers for about forty years and I hope many more to come. Thanks so much for the bag of chocolate “goodies”. What a pleasant surprise! The wreath was beautiful. It was placed at the Family Plot in New York. Just a brief note to say thank you for the beautiful floral arrangements for my farewell mass at St. Michael’s. Your friendship and support to me and our Parish Community over the years has been and will always be greatly appreciated. Thank you so much for providing the flowers for our wedding. We are so grateful for the amount of time and energy you put into the quality of the bouquets, corsages, arrangements and Manzanita Tree. You were always so accommodating and offered valuable advice. Thank you again for helping to make our wedding so special. Thank you for your patience with my family and your expertise and precision in making the floral arrangements. The arrangements were beautiful. The flowers were a ray of light during the memorial service. I just want it to say Thank you very much for the flowers! They were beautiful and the centerpieces were gorgeous! I really appreciate the wonderful job yall did, thank you and I will definitely recommend you to all my friends!